Four weeks in, we have a decent idea of what some teams are bringing to the table in 2016. The Vikings are looking unbeatable these days thanks to their defensive corps and impressive play from Sam Bradford under center. 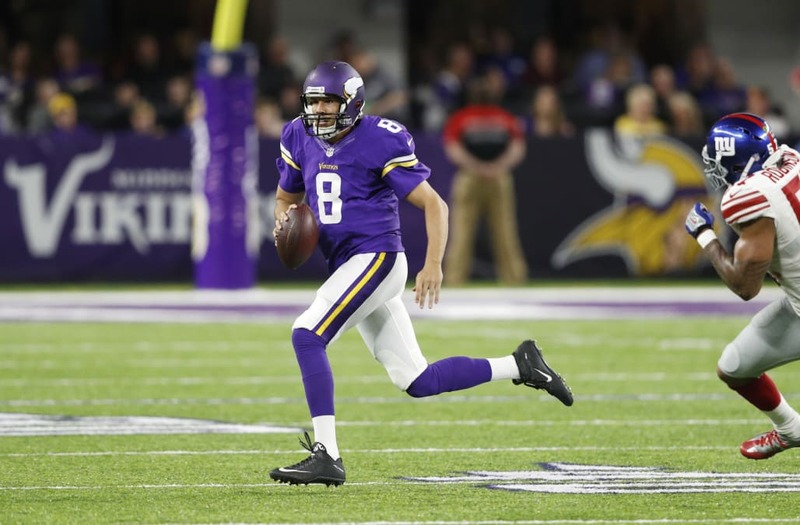 Houston got back on the winning side last week against Tennessee, but in Minnesota's new raucous building, look for the Vikes to remain undefeated on Sunday. One more loss to a subpar opponent and Chuck Pagano will likely be out of a job -- but the Colts should be able to handle a Bears team with no Jay Cutler or Jeremy Langford. 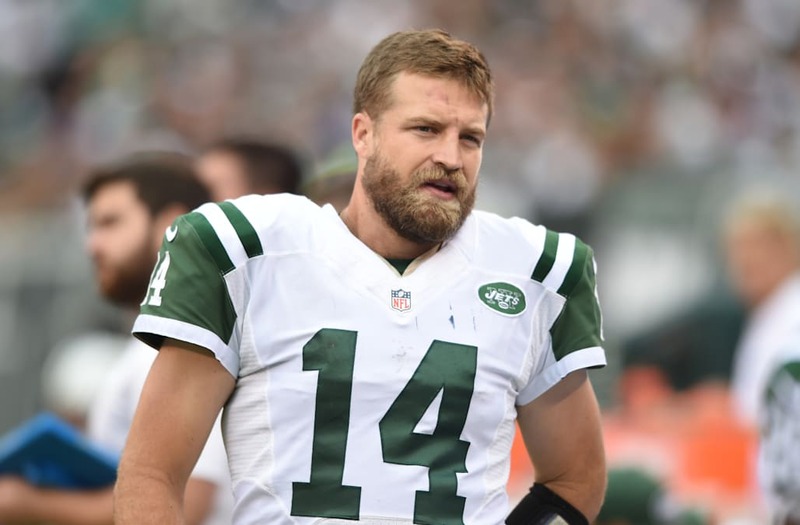 The Jets' brutal schedule doesn't get any easier in Week 5, and Ryan Fitzpatrick's recent stretch doesn't give us any inclination to lean toward a road New York upset whatsoever. Arian Foster may suit up for Miami after missing a pair of games with a groin strain, which could give Miami a means of combatting Tennessee's run game, led by DeMarco Murray in a resurgent year. But Ryan Tannehill's struggles have kept the Dolphins' offense stagnant all year, while the Titans -- a week after hanging in with Houston -- might be due for a positive result. Carson Wentz and the Eagles will attempt to stay undefeated on the road in Week 5, and after losing to the lowly Bears last Sunday, the Lions aren't exactly rolling in with a ton of momentum. If Wentz can keep his performance up, the Eagles shouldn't have a problem remaining unbeaten. There will be blood. 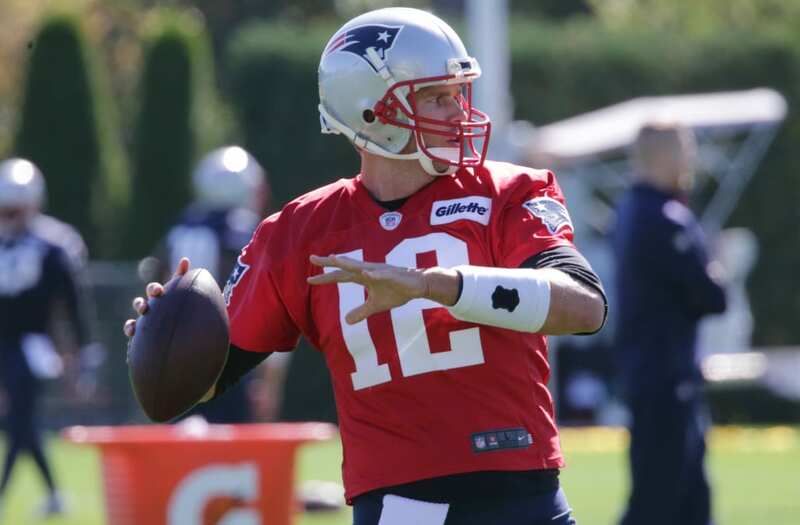 It won't be pretty on Sunday, with Tom Brady back in the fold with a chip on his shoulder. Good luck, Cleveland. Washington's season has turned around of late, while the Ravens suffered their first loss of the season after a soft schedule to open their season. 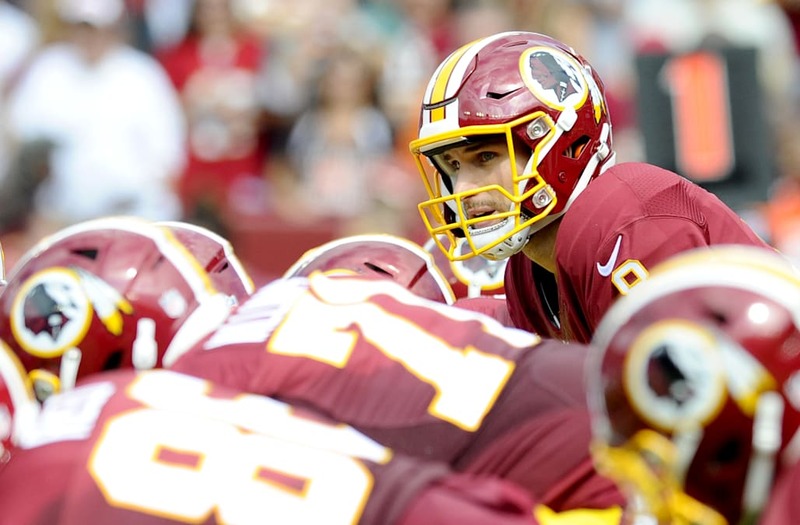 In the wide-open NFC East, Washington could keep itself in the thick of things with a road win. Atlanta is on a roll, having gotten out to a sizable division lead in the early going this year. Denver, one of the few remaining unbeatens, will be the Falcons' toughest opponent yet. 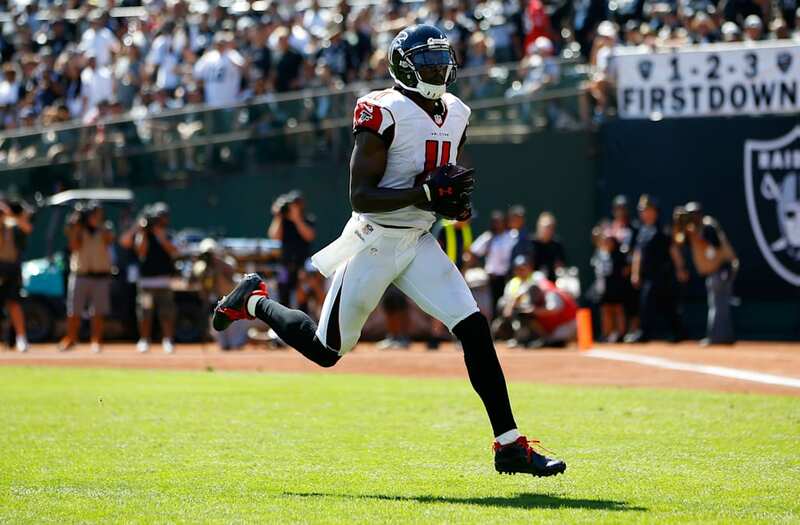 An Atlanta win would set the tone for the rest of the season, and prove that the team, led by Matt Ryan and Julio Jones, is back in playoff contention. Call us crazy, but we like their chances. The Dallas offense is rolling thanks to their pair of dynamic rookies, and they'll play host to a Cincinnati team that hasn't beaten a team with a winning record this season. 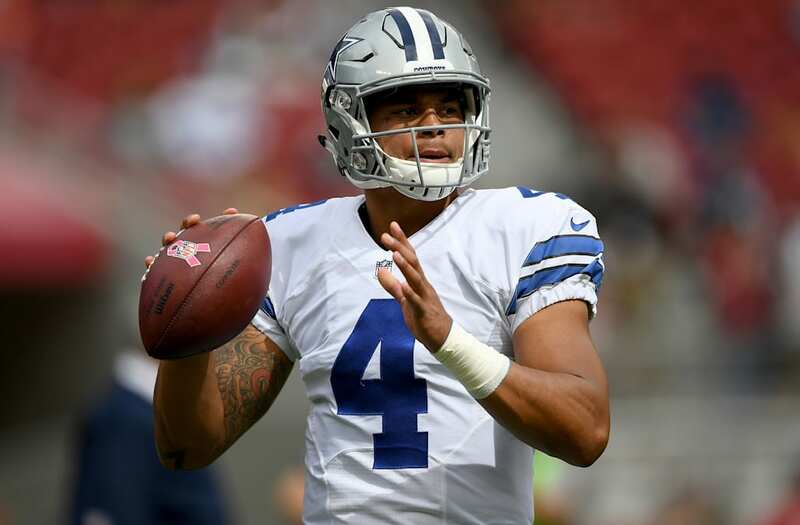 If Dak Prescott continues to progress, the Cowboys should prevail. 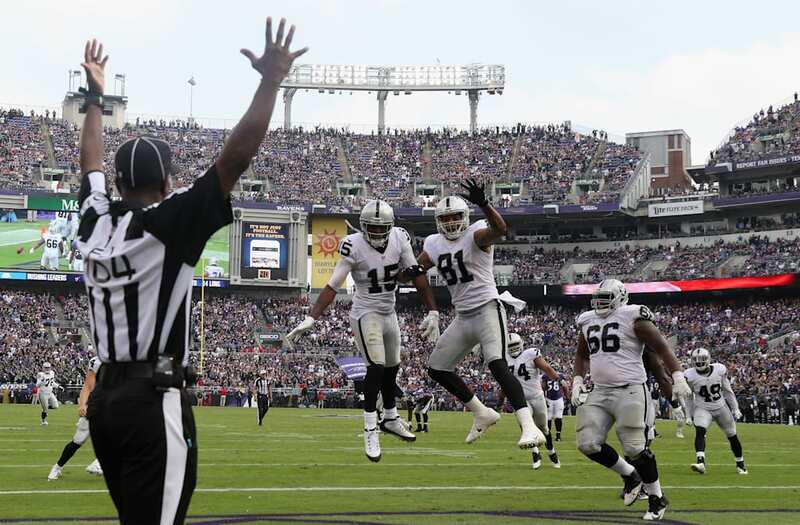 The Raiders, after more than a decade of futility, finally seem to be a contending team. After knocking off the previously undefeated Ravens in Week 4, look for Oakland to handle San Diego at home. After two straight wins against Arizona and New England, Buffalo is quietly on a roll following an 0-2 start. Los Angeles is, too, winning its last three, making for a contest that will likely be competitive from start to finish. We'll take the home team. Facing an NFC North powerhouse in primetime for the second straight week, the Giants will need Odell Beckham Jr. to muster up more than three catches this time around -- preferably while maintaining an inkling of poise. Coming off a bye though, the Packers are the stronger team at home, and shouldn't have much trouble taking one at Lambeau. 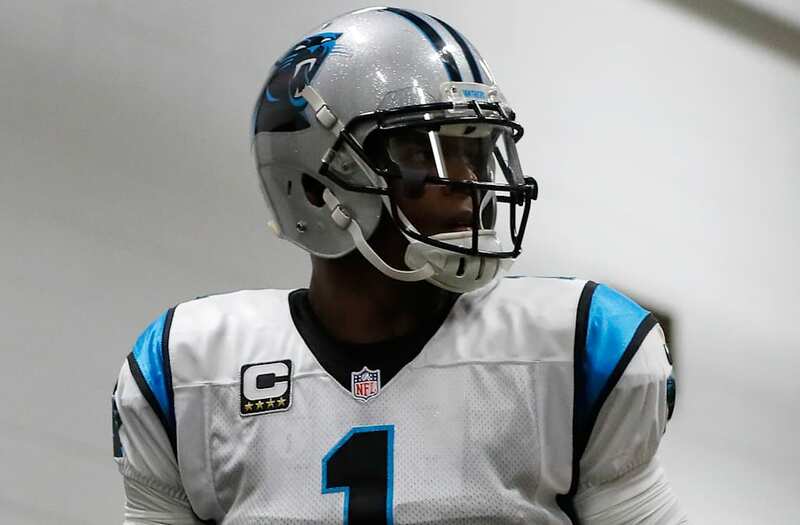 Vegas, like the entire football world, is waiting to receive word on if Cam Newton will be able to suit up for Monday night's divisional matchup against the Bucs. If concussion protocol keeps him out of the game, we're inclined to lean toward Tampa Bay. After a one-week vacation in the No. 31 spot, the Browns are once again the worst team in football. Sorry, Cleveland -- at least you have the Indians! After narrowly defeating the Browns in Week 3, Miami faltered on national television Thursday night in Cincy. Ryan Tannehill's performance was especially concerning, as the 28-year-old still hasn't found a way to turn the corner as a pro. Chicago managed to escape the cellar in our rankings with a home win over Detroit, thanks to Brian Hoyer's second-straight 30-yard, two-score day. Maybe they've found their quarterback of the future? Remember when the Niners shut out Los Angeles in the first game of the season? It seems like years ago. LA hasn't lost since, while San Francisco hasn't beaten anybody else -- and Colin Kaepernick's return to the starting lineup may be eminent. New Orleans finally got its first win of the season in Week 4, although it was against a weak San Diego team. Still, a win's a win, as they head into their bye week. Previously winless, the Bears handled Detroit in Week 4, limiting the Lions' offense -- which doesn't bode well for Detroit as they head into a bout against a surprising Philly team that still has everything to prove. Tampa faced a daunting task in competing with undefeated Denver, and they weren't up to it. A trendy playoff pick in the offseason, the Bucs now sit at 1-3, and still haven't been able to hold an opponent under 24 points. Tennessee actually hung in with Houston on Sunday, falling by just a touchdown to one of the stronger teams in the league -- albeit without J.J. Watt. 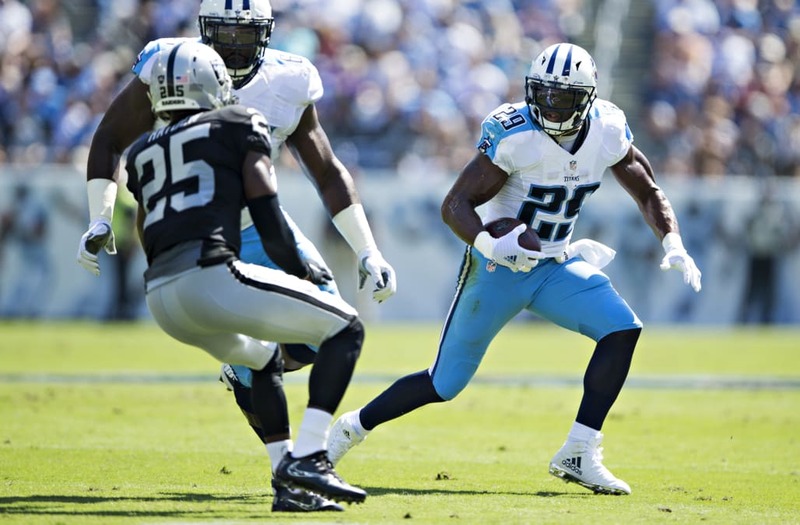 DeMarco Murray continues to be a bright point of the Titans' season, but there's just not that much talent to work with on either side of the ball. Ryan Fitzpatrick played poorly yet again versus Seattle, and it may not be long before the coaching staff is pressured to turn to -- gasp! -- Geno Smith. It's officially time to worry in Indy. 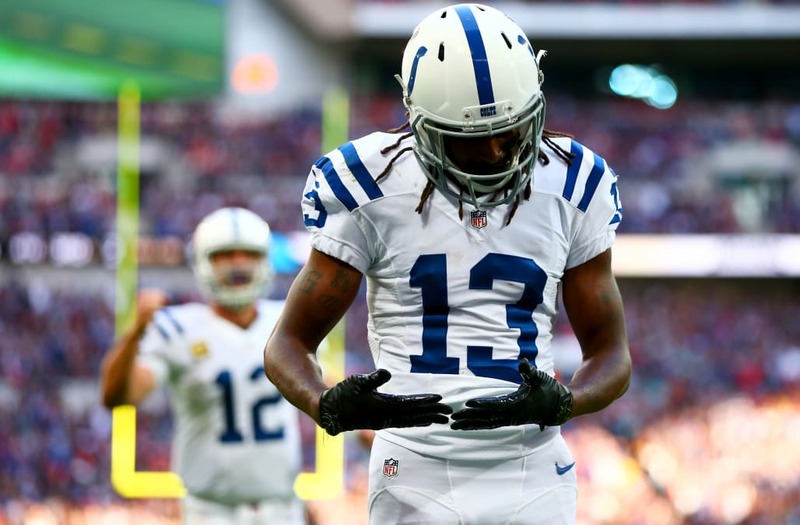 After a loss to previously winless Jacksonville, the Colts are 1-3 with no sign of defensive talent and a shoddy offensive line. A loss next week in Chicago would almost surely cost Chuck Pagano his job. Don't look now, but New York's defense looked awfully reminiscent of last year's nightmare -- despite the pricy free-agent additions. That, combined with a shut-down Odell Beckham, led to a Week 4 loss in Minny. Even more concerning: Does OBJ have the composure to maintain success? Or have teams figured him out? Washington evened up its record with a win over Cleveland, with running back Matt Jones carrying the offense on the ground, totaling 117 yards and a score. Kirk Cousins still isn't accomplishing much through the air, which, as we enter Week 5, is a concern. Maybe the Bills aren't that bad? 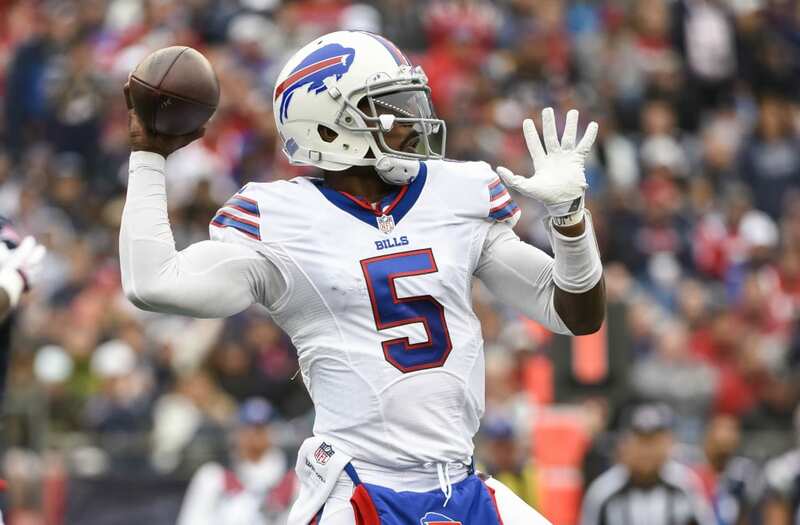 In back-to-back weeks after starting 0-2, Buffalo has beaten Arizona at home and New England on the road. Their schedule is filled with beatable opponents until a Week 8 rematch with the Patriots in Orchard Park, which could be an intriguing matchup depending on how the Bills fair in the interim. After dropping a critical divisional matchup to the Falcons in Week 4, Carolina dropped to 1-3 and entered a three-way tie for last place in the NFC South -- two games behind Atlanta. With Cam Newton in concussion protocol this week, another game against a division rival -- Tampa on Monday night -- could be up for grabs. Carson Palmer is ruled out for this Thursday's matchup against the 49ers, and considering how Arizona has played of late, that one could go either way. After three straight wins, the Los Angeles Rams are in first place in the NFC West. Week 4 was their most impressive performance to date, stunning the Cardinals in Arizona -- and the team can now rest comfortably during its bye week. The Ravens suffered their first loss of the season in Week 4, against their first tough opponent of the season. They'll be going up against some more run-of-the-mill NFC East units in the coming weeks, giving them a chance to better their record even further. With two wins against AFC East teams, and two losses to stronger units, the Bengals sit at 2-2 and still mostly unproven. A matchup in Dallas this week should help set the record straight on this bunch. It's been more than a decade since the Raiders started a season better than 2-2, but here we are. On both sides of the ball, Oakland looks formidable -- and Amari Cooper hasn't begun to dominate yet. Kansas City followed up a dominant home win against the Jets with a stinker at Heinz Field, Jamaal Charles is slowly returning from injury, though he carried the ball just twice in the loss. The jury's still out on the Chiefs as they enter their bye. The Texans bounced back from an embarrassing, nationally televised loss to New England with a home victory in Week 4 against Tennessee. Will Fuller did the heavy lifting on this occasion, and despite DeAndre Hopkins' quiet afternoon, Houston should be encouraged knowing there's another wideout option capable of shouldering the load. Idle in Week 4, Philly now faces the tough task of playing 13 straight weeks, though with the NFC East lead in hand. 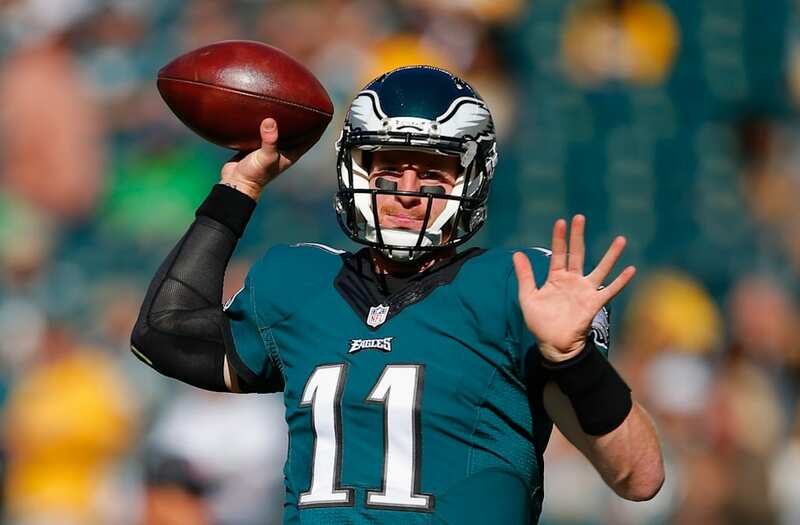 Dallas lurks just a game behind -- can Carson Wentz really keep it up over a full season? Unfair to slide back three weeks without playing? Maybe. 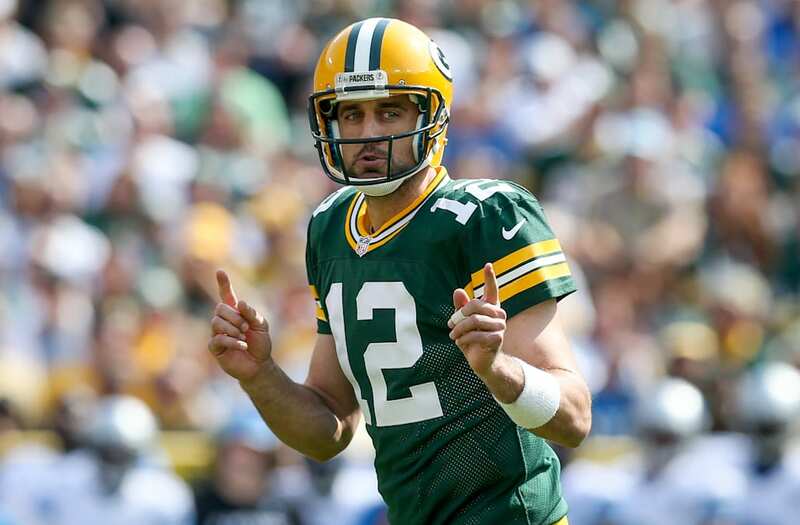 But Green Bay will have a chance to move back up this week with a primetime matchup against the Giants. Seattle handily defeated the Jets away from Seattle, even with a banged-up Russell Wilson. An important development: Jimmy Graham again looks to be a viable option in the offense, logging 100 yards in each of his last two games. Pittsburgh rebounded from a brutal loss to Philadelphia by unleashing an all-out offensive attack on the Chiefs defense -- Ben Roethlisberger slung five touchdowns through the air while Le'Veon Bell ran for eight yards per carry, totaling 144 yards, in his first game of the season. The Patriots suffered a rare bad loss in Week 4, but with Tom Brady returning for this week's tilt against Cleveland, it's not unreasonable to expect 2007-style video game numbers from this New England offense the rest of the way.